It is often said that the most threatening pest in the food industry is the rodent. Rodents have been implicated in over 55 widespread diseases, this range of pathogens stretches from parasitic worms to viruses. 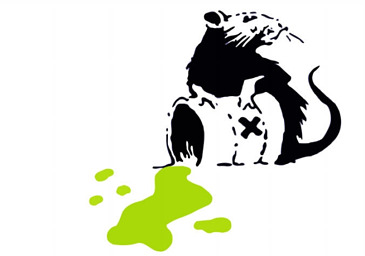 Not only are rodents responsible for contamination they can also cause considerable loss of supply, damage to the premises and potential fire hazards. 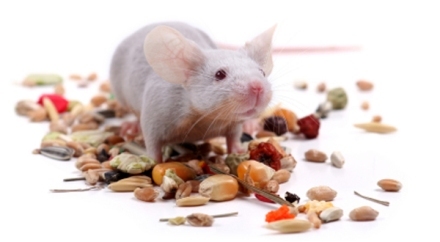 This blog will explain best practices and procedures in dealing with rodents. What makes rats particularly troublesome is their rapid life-cycle, which stems from a high birth rate, short-life spans and high death rates. The speed at which they breed means a few overlooked or ignored rats can quickly become a severe infestation. Rats are capable of producing ten or more young every three weeks. What Damage Can They Cause? Most rats are granivorous (seed-eaters) but when short of food they will eat almost anything. They gnaw to reach previously inaccessible areas which can cause considerable damage to your facility, ruin your stock and expose wires which can become a serious fire hazard. Do I Have A Rat Infestation? The shape and size can inform you about the population 10-12mm long and 5 mm in diameter are rats and around 4 mm in length and 1mm in diameter are mice. If the droppings consist of multiple sizes you may have a population consisting of young and adults that would designate a growing population. If the droppings are soft and glistening, live rodents are still present as the droppings are fresh. Are the droppings distributed or located in one area? Brown rats are known for having a dedicated latrine area and dropping distribution can indicate their presence and its extent. How many droppings? Rats produce about 40 a day so the number can be a strong clue as to how many are present on the premises. These simple observations can help you take a quick first look at any problems you have but we advise seeking professional opinion and help to create the right course of action and elimination. Rodents are mostly nocturnal so sightings may be rare. A sighting during the daytime means either heavy infestation or a disturbed nest. There are many prevention and extermination procedures that can be followed. One of the most effective strategies is having a well designed and consistently clean facility. This will discourage rodent inhabitation in the first place. Having automatically closing doors or dividing screens hindering access for rodents around the facility will greatly increase your pest control abilities. By segmenting your facility and keeping important areas consistently sealed you can create multiple controlled zones and make pest control much easier. High speed doors are very effective for keeping secure food areas open for the minimum amount of time possible and firmly sealed for the rest of it. In the case of a sighting it is important to have a system where all sightings can be reported. Sightings should also result in immediate remedial action and this action must also be recorded. Part of the extermination process involves eliminating harbourages such as old pallets or equipment. Ensure to remove rubbish from the premises and exterior perimeter. Also remove all water sources including pools of water, dripping from refrigeration or leaks in the roof. Rats need to drink at least once a day and will not survive in an area that does not provide a water source. In the case of elimination there are numerous chemicals and traps that you can resort to. 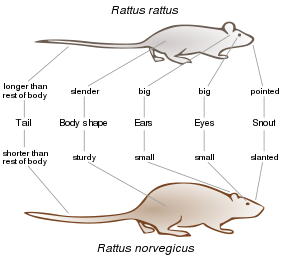 It is important to note though that most rats show much hesitation and fear in approaching new elements of their environment so it may take some time for traps to work. Traps should also be placed out according to a mapped plan. They should be monitored and accompanied by a record so that pest control can be easily moderated and focused. An effective control can also involve performing the treatment or trap checking in an irregular or anti-clockwise direction every few inspections may help you pick up on things you didn’t spot before. It is also important to think of unexpected areas. Black rats are infamous for their ability and preference for climbing. This means ducts, rafters and roofing should most definitely be considered as part of any pest control program. All those in the food industry must have a consistent system of monitoring, auditing and review in place. If you found this interesting and would like to read about how to deal with other types of pests please click here or if you would like to download our free ebook on contamination prevention in food manufacturing please click here. Otherwise subscribe to our blog at the top right of this page for more useful advice delivered straight to your email.